Two American students visiting Scotland claimed to have found an enormous tooth (possibly belonging to Nessie) lodged in the carcass of a deer along the shore of the loch. However, (so they said) a game warden who happened to be passing by almost immediately confiscated the tooth from them, though not before they got a few pictures of it. The students subsequently created a website to publicize their find and lobby for the return of the tooth. 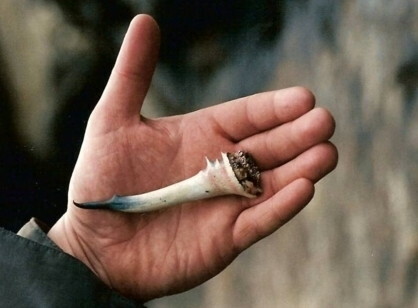 But animal experts identified the "tooth" from its picture as the antler of a roe muntjac deer. The website and accompanying story then turned out to be a publicity stunt for a horror novel by Steve Alten titled The Loch.